重组 （chóng zǔ） means rearrange, 词 （cí） means word and 句 （jù） means sentence. You’ve really done a hard day’s work. They talked together the whole night. She is beautiful and clever. He’s holding a book in his hand. I’ll call on you again tomorrow. This photograph is not hung straight. 你好, is it zhong4zu3 or chong2zu3? Sorry. I made a mistake again. 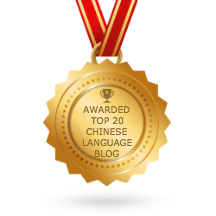 重组 should be ” chóng zǔ “. I have corrected it.